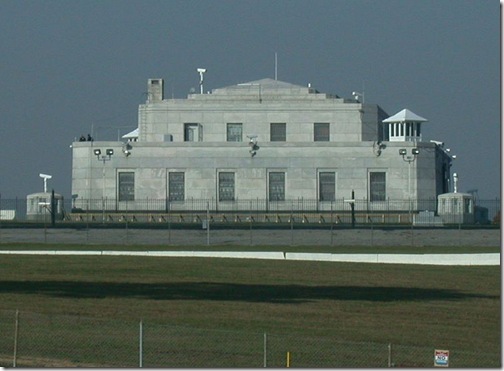 Plan on breaking into Fort Knox [also known as United States Bullion Depository]? First, climb the four surrounding fences - two of which are electric - and then sneak past the armed sentinels lining the perimeter. Be sure to avoid the video cameras. Don’t waste time trying to blast through the granite walls - they are four feet thick and held together by 750 tons of reinforcing steel. If you get past the armed guards inside, plus the maze of locked doors, you’ll probably be stopped by the 22-ton vault door. Don’t despair. The vault can be opened, but only if you find all the staff members who know a small slice of the combination (you’ll need all of them, since nobody knows the whole thing.) Once you get inside the vault, you’ll have to break into the smaller vaults tucked inside, then you can start taking the 5000 tons of gold bullion stored in there. And do be careful when you leave: 30,000 soldiers from Fort Knox’s military camp will be anxiously awaiting you outside.